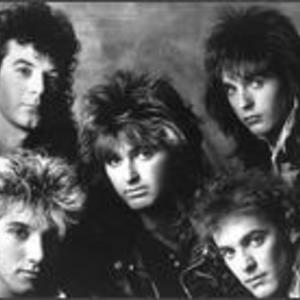 Honeymoon Suite are a Canadian rock band, based out of Niagara Falls, Ontario that formed in 1982. They were originally formed in 1982 by lead vocalist Johnnie Dee and guitarist Derry Grehan. They soon signed with WEA Canada after they released their song "New Girl Now", which won them an unsigned band contest put on by Toronto radio station Q107. Dee and Grehan recruited Ray Coburn on keyboards, Gary Lalonde(ex member of Toronto) on bass, and Dave Betts on drums. In 1984, they released their self-titled debut album, which led to four top-ten hits in Canada: "New Girl Now", "Burning In Love", "Wave Babies", and "Stay In the Light". The song "New Girl Now" was the only single to reach the top-50 in the United States. Their follow up album, The Big Prize, produced by Bruce Fairbairn, was equally successful in Canada, with four more hits: "Feel It Again", "What Does It Take", "Bad Attitude", and "All Along You Knew". Their song "Feel It Again" managed to reach the Top 40 in the US, "What Does It Take" reached no. 52, buoyed by its inclusion on the soundtrack for the John Cusack film One Crazy Summer. Much later in 1989, "Bad Attitude" was featured in the series finale of Miami Vice, played during a driving segment that mirrored one from the series' pilot episode. In 1986, founding keyboardist Ray Coburn temporarily left the band, replaced by Rob Preuss of Burlington, Ontario-based Spoons. Also during 1986 the band produced a track for the Charlie Sheen film The Wraith - "Those Were the Days". In 1988, their third album was released: Racing After Midnight, produced by Ted Templeman of Van Halen fame. That album made the top 10 in Canada. Singles included "Love Changes Everything", "Looking Out for Number One", "Cold Look" and "It's Over Now". In 1989, Coburn rejoined the band just in time to release a greatest hits compilation, The Singles, which included the new single "Still Loving You". "The Singles" tour would turn out to be the last tour featuring the band's original line-up. The band continued to tour in the '90s, although many line-up changes continued to occur, with only Dee and Grehan remaining as the founding members. In 2002 they released their first new studio album in 11 years, Lemon Tongue. The album was released under an independent label. Later in 2002 they released Dreamland which was only available in Europe. It features many of the same songs from Lemon Tongue but included some new songs such as "Dreamland", "Radiant", "Even Now" and "Just Love Somebody". In 2006 the band continues to tour in Canada, including a co-headlining tour with Glass Tiger. Their latest release is a collection entitled Feel It Again: An Anthology, a 2-CD set featuring the best of their work plus rare and unreleased material.